Not sure what ATM supplies you need to purchase for your ATM? DieboldDirect has made it easy. 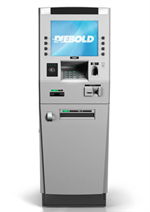 As long as you know your Diebold, NCR, Wincor, Triton and Tranax ATM model, DieboldDirect will tell you the exact supplies you need to order.